Visit my Etsy Store for all my products; Sport Cuffs, Jewelry, Vintage Supply, Party Supply, Craft Supply, Embellishments, Paper Line, and Finished Designs! Visit my Artfire Store for additional products; Sport Cuffs, Jewelry, Vintage Supply, Party Supply, Craft Supply, Embellishments, Paper Line, and Finished Designs! New embellishments added weekly! Look for Cupies, Unicorns, 1980s roller skates, flamingos, rainbows/clouds, western skulls, frozen charlottes, tin molds, fun party supply, unique stationary and novelties that are sure to bring some storybook sparkle and whimsy to your world. 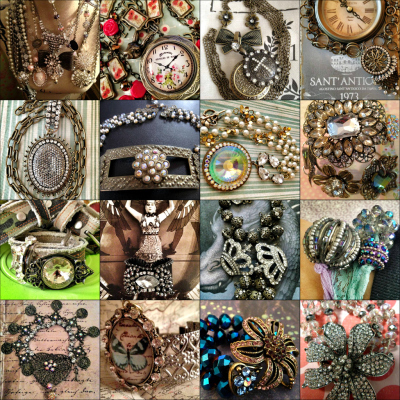 In addition you will find vintage craft supply, the latest jewelry designs, fashion and flare. We love to be stylish!!!! The original sport cuffs since c. 2004! I am the home of the original sport cuffs: baseball, football, basketball, tennis, since 2004, now on Etsy! Reshaping the world of Sports Fashion! Published in over a 100 publications. Lisa Kettell Designs is the place where creativity starts. I invite you to explore my world! LK Designs since 1996!